A couple of weeks ago we were asked to be part of the upcoming BBC CountryFile episode airing this Sunday 15th April 19:00. We couldn’t quite believe it and are pleased to be part of this wonderful programme featuring a variety of Cumbrians doing a variety of things! 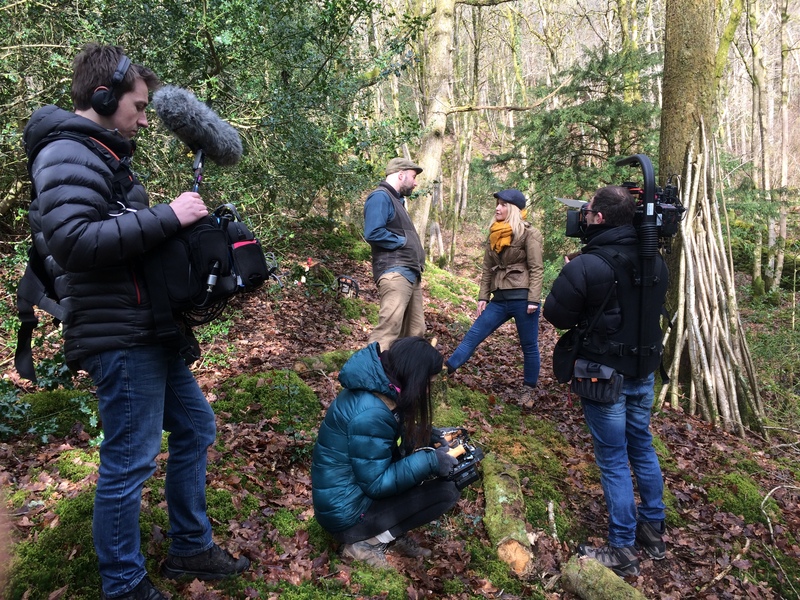 We had a fine time hanging out with the BBC film crew, speaking with CountryFile host Helen Skelton about our love of the British countryside and our recent workshop move to the Lake District. A pretty surreal day all in all (NOT a usual day at the office! ), we walked through our ancient woodland and the workshop in our old stone barn with Helen and the crew, discussing the inspiration and peace we get from being in nature, the importance of managing the woodland that sustains our home and workshop and the British trees that started our first ever Hampson Woods foraged product back in 2011 – our Lakeland Oak Coasters. These slivers-of-a-tree coasters were originally sold by Jonty at a market stall and the business grew from there – it set the brand’s ethos of reducing waste and making by hand, and was the start of our obsession with provenance, our commitment to only using wood if we knew where it had grown. It’s nice to know where your product once had its roots! To celebrate the journey from selling our first set of foraged coasters at a market stall in London, to having our work shown and sold around the globe seven years later, we’ve made a small batch of coasters available exclusively on our online shop for a limited time only. 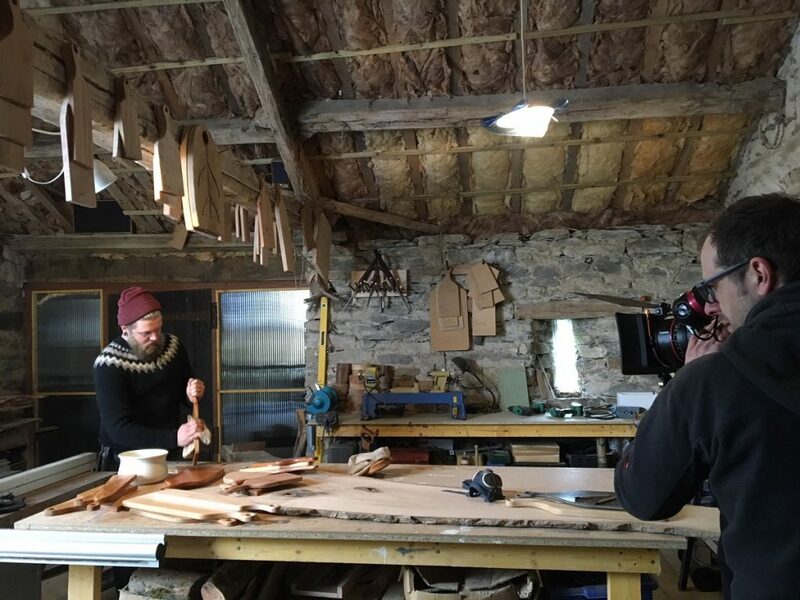 Without giving too much away, Kolli walked the crew through the process of finishing one of our serving boards – never has a board been so lovingly oiled – and Helen had a go at making her very own HW board from a lovely bit of Cumbrian Ash from Penrith. Hopefully she’ll come back for a job! To view a similar board to the one Helen makes on the CountryFile episode, visit our online shop here.